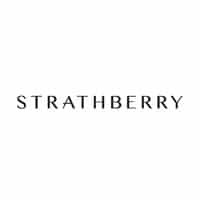 Strathberry.com is the official website and online store of luxury fashion brand Strathberry founded by Clare Robertson, Leeanne Hundleby and Guy Hundleby. The company makes luxury leather handbags. The company is headquartered at Edinburgh in Scotland and was earlier known as Strathberry of Scotland. The luxury leather handbags are handcrafted in Spain and every bag reportedly takes up to twenty hours to make. American actress and the royal bride-to-be Meghan Markle was spotted carrying a Strathberry at the first ever official public appearance after her engagement with Prince Harry. The brand has several signature collections, celebrating various designs, sizes and colors.